Ted Russet is a 22 year old singer songwriter based in Liverpool. 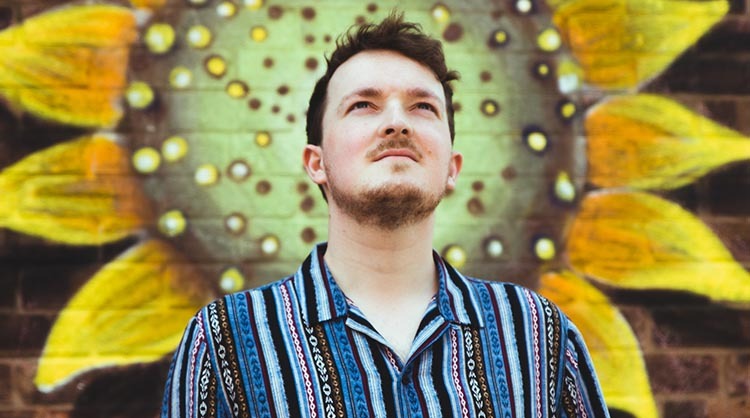 Taking influences from John Mayer, Tears For Fears and Dan Croll, his music has an upbeat, new wave/indie pop sound that contains an essence from the 80s with a modern twist. Following his debut single, ‘Gold Dust’, Ted Russet has recently released another single called, ‘Crazy Perfect’, which may explain his obsession with Tangy Cheese Doritos and any cheese related snacks. After a few false starts, two guys in a bedroom just outside of Shrewsbury created The Sunset Beach Hut and with the addition of a singer they are now ready to show the world what they have created. The new year has kicked off to a good start for trio The Sunset Beach Hut with the release of their two-track single ‘Comfort’ and a couple of packed headline shows at The Sunflower Lounge. Their variety of music tastes is reflected across their music, but mostly their tracks are synth heavy with 70s sounding guitar riffs, funky bass lines and pop inspired vocals, but listen up and you may be surprised by what you might hear. Accomplishments to date include headlining venues like the O2 Academy3, Mama Roux’s and The Sunflower Lounge, and supporting bands such as The Cheap Thrills and La Dharma. They were BBC introducing Shropshire’s track of the week twice in 2017 with their single ‘The Other Side’ and a demo of their track ‘Comfort’. Forming as a four-piece group in September 2017, Echo Beach! have progressed fast to get to where they are today. Starting out at local venue Albert’s Shed, Shrewsbury performing covers they swiftly built up their own material and bagged themselves slots performing at The Sunflower Lounge, The Castle & Falcon and the O2 Academy3. 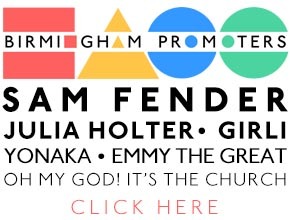 With help from Birmingham Promoters, Indie Midlands and SONIC GUN Concerts, Echo Beach! are set to keep this momentum going and inevitably grow. Harry Handford, the vocalist and songwriter of Spilt Milk Society, will be performing an exclusive solo set of acoustic renditions of their well known hits. Forming in the summer of 2015, Spilt Milk Society’s rise has been swift and constant. Starting out playing at house parties they soon moved onto bigger venues. Heavily backed by BBC Introducing they have sold out shows in their home town of Birmingham at prestigious venues like the O2 Institute and The Sunflower Lounge. Recent appearances also include slots at The Great Escape Festival and supporting the likes of Fickle Friends, Superfood, Toothless, Tender, and more.